What’s the best part of staying in Fort Lauderdale, Florida, you ask? While there are so many fantastic aspects of living in what most people consider a tropical paradise, we think the weather is the biggest draw! There’s no better way to spend a warm and sunny day than in the great outdoors. That’s why you and your family should consider stopping by Holiday Park in Fort Lauderdale when staying nearby! Here’s everything you need to know before visiting this popular spot. As you plan your South Florida getaway, make sure you access our free Fort Lauderdale Vacation Guide! Inside, you’ll find hand-picked recommendations like Holiday Park in Fort Lauderdale, Florida. Get your copy today and learn about all of our favorite local restaurants, excursions, and best-kept-secrets! Fort Lauderdale’s Holiday Park is one of the city’s most popular public parks! It consists of over 90 acres of land located just south of Sunrise Boulevard and east of Federal Highway. This large and diverse recreational center offers a variety of activities suitable for all ages. Plus, this spot is home to countless events throughout the year! Exercise at the on-site gym. In addition to a seemingly infinite array of on-site activities and attractions, Fort Lauderdale’s Holiday Park is home to numerous youth and adult events each season. No matter what time of year you visit, there’s always something exciting like Zumba classes, ballroom dance instruction, pickleball lessons, and so much more! Between the on-site features and year-round events, guests could easily spend an entire day here! Return to a Private Rental Near Holiday Park in Fort Lauderdale! Bring the whole family to Holiday Park in Fort Lauderdale! Then, come back to the comfort and luxury of a Fort Lauderdale Stays vacation rental! Each of our unique and luxurious accommodations features fully stocked kitchens, complimentary Starbucks coffee, and all of the other premium amenities you need for an unforgettable family vacation. 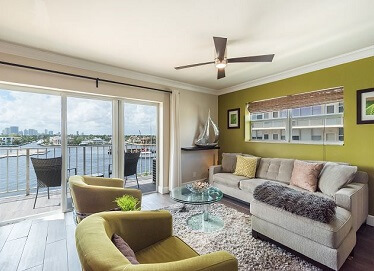 Whether you want to stay in Wilton Manors, Imperial Point, or on Fort Lauderdale Beach, we have a clean and comfortable rental that’s perfect for you and everyone else in your party. Love the idea of visiting Holiday Park in Fort Lauderdale? We also recommend reading about Fort Lauderdale Beach Park and the Funderdome Indoor Playground! Ready to gift your family with the South Florida trip of a lifetime? Check our availability today and start planning a fun getaway with us! We look forward to hosting you and yours very soon. Here Are the Top 3 Places to Try Snorkeling in Fort Lauderdale — Which Are the Best Fort Lauderdale Aquariums to Visit?